Specialty: Treatment of advanced hepatocellular carcinoma, cancerous pleural effusion and middle and advanced cancer as well as hematological diseases. 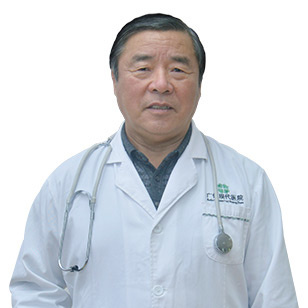 Director Li Xiaoshi has more than 40 years of medical experience and has accumulated rich clinical experience in the field of oncology and internal medicine, especially for various malignancies (head and neck cancer, lung cancer, esophageal cancer, stomach cancer, colon cancer, liver cancer, pancreatic cancer, bladder cancer, gynecological cancer, etc. ), and hematological diseases, leukemia, lymphoma, myeloma and other diseases. He is specialized in applying a variety of effective comprehensive therapies for cancer treatment, such as percutaneous puncture and topical medication, systemic and thoracic and intraperitoneal chemotherapy, and a variety of local treatment techniques (ultrasonic knife, argon helium knife, radiofrequency ablation, particle implantation and photodynamic therapy, etc.). which benefit plenty of cancer patients at home and abroad. During 1975-1978, Li Xiaoshi was studying in Norman Bethune University of Medical Science. While during 1992-1995, he was studying for a master’s degree in Medical College of Soochow University.